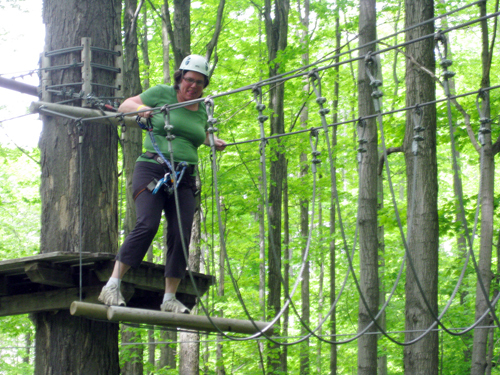 This past weekend my family spent the day together at an adventure park traveling through the treetops in harnesses and zip lines. Our daughters, 15 and 12, feature themselves as daredevils and enjoy these types of physical challenges. My husband and I are not ones to stand on the sidelines and let our kids have all the fun. And so I found myself standing on a tiny wooden platform about 50 feet in the air with only two carabiner clips keeping me from plummeting to certain injury. What’s scarier than that? Watching your kid in the exact same position, a couple of trees over. it may look scary, but eventually, you have to just go for it. The exhilarating feeling is well worth the struggle up the ladder. As the sun is finally making its much-anticipated return to Canada this season, put a little zip-line philosophy in your parenting – be safe, have fun and go for it! You’ll find lots of great ideas for summer fun in our June/July issue, on news stands soon. 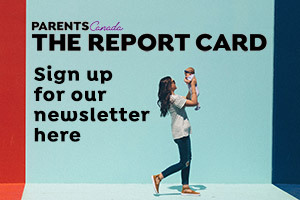 While you’re at it, why not check out our Parent Surveys. Your answers might inspire other parents, and you could win one of several fabulous prizes. Stacey Shorney wants to become a single mother.